Fortessa is a leading designer, developer and marketer of quality tableware for the high-end commercial foodservice market globally, as well as for the luxury consumer market. The company was founded in 1993 as the Great American Trading Company, Inc., focusing from the very start on quality dinnerware for culinary professionals and for the home. In 1997, the company expanded its offerings to flatware, glassware and tabletop accessories, becoming a “total table” operation, and pioneered the concept of specialty dinnerware for the commercial foodservice market with a “Cuisine Collection” of square, rectangular and oval shapes. Fortessa is an integrated designer, developer and marketer of tabletop goods and accessories. Brands and products under the Fortessa banner include Fortessa Dinnerware, the Accentz collection, Fortessa Metalware, Schott Zwiesel Crystal Glass and Fortessa Design and Value. Our products offer a combination of quality and value unmatched in the tabletop industry. Fortaluxe Superwhite is reinforced with alumina oxide or magnesium oxide for durability. It is glaze, thermal shock and edge chip resistant. 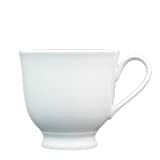 This Fortaluxe SuperWhite vitrified china set includes 6-7 ounce pedestal coffee/tea cups in the Cassia collection. Cassia is a beautifully defined, classic shape with a varied plate well for every style of cuisine and portion. It is accented with distinctive "racetrack" oval platters for an overall classic appeal. Fortessa Superwhite products are featured in the finest hotels, restaurants and resorts in the world. Cassia SuperWhite is constructed to meet restaurant and commercial standards and the beautiful white color of all Superwhite products is consistent within the whole collection. 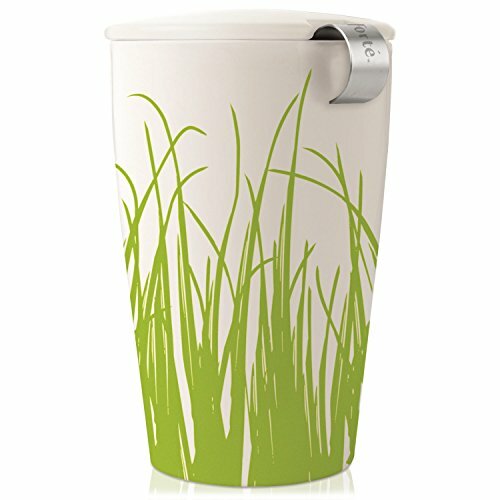 All Fortessa Superwhite products are microwave and dishwasher safe.